The person who decided it would be a good idea to flash a laser at Tom Brady during the AFC Championship Game has been caught. During the game, photographer Turner Twyman noticed a laser being flashed at Brady in the middle of live action. Adam Schefter of ESPN.com reports the ‘fan’ has been identified, banned from Arrowhead Stadium for life and will face charges. According to Schefter, Kansas City police initially wanted to charge the laser pointer with disorderly conduct, but the Chiefs organization pushed for a much harsher penalty. 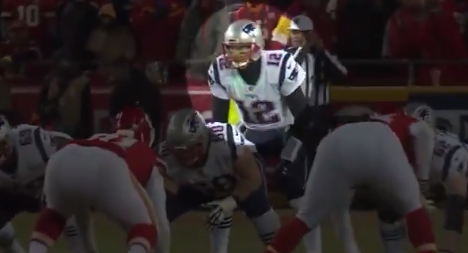 While the act might appear harmless on the surface, flashing a laser at somebody not only could impact the game but it could’ve caused serious vision damage to Brady. It’s more than a drunk guy making a bad decision. I’m with the Chiefs on this one, throw the book at him and send a message dangerous actions like using a laser won’t be tolerated in any capacity.